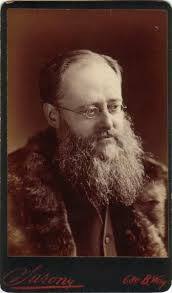 Williams Wilkie Collins, named for his father, painter William Collins, and godfather, Sir David Wilkie, was born in the Marylebone district of London on January 8, 1824. He and his family lived in Italy and France for two years, then he returned to England to attend boarding school. After leaving school in 1841, he worked for a tea merchant, but disliked the job immensely. 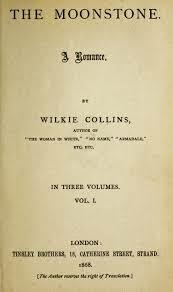 He began to write stories and in 1850, after his father died, he published his first, The Memoirs of the Life of William Collins, Esq., R.A. It received good reviews, so he continued to write, ultimately publishing thirty books, over one hundred articles, a dozen plays, and numerous short stories. By all reports, Collins lived against the social mores of the time. Rather than adhere to the strict Victorian code, he ate and drank to excess, wore flamboyant clothing, and formed long-term relationships with two women he didn’t marry, one of whom bore him three children. 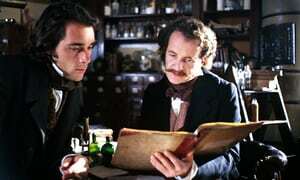 He also suffered from ill-health and took opium as a result, which he ultimately became addicted to. Over the years, The Moonstone has found its way into radio, film, and television adaptations, the most recent one in 2016 by the BBC. Check your public library, they are sure to have a copy of this classic. I love those "vintage" books! I listened to "The Moonstone" on Librivox.com years ago. I should find it and listen again. :D Thanks for sharing those biographical details! Glad you enjoyed the post, and thanks for stopping by. I love the "vintage" writers too - Hammett, Chandler, Greene, etc.